What Type of Emergencies Fall Under the Category of General Dentistry in Weymouth, MA? Posted December 21st, 2015 by Lillian Price & filed under Dental. Posted December 19th, 2015 by Lillian Price & filed under Dentist. Posted December 18th, 2015 by Lillian Price & filed under Dental Implants. Do You Know When You Need To See An Emergency Dentist? Posted December 15th, 2015 by Lillian Price & filed under Dentistry. Some dental emergencies leave no doubt that it’s time to run to the dentist. Other times, someone may wonder if it’s really necessary to rush in. 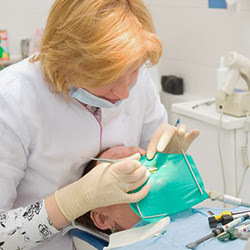 Here’s a list of some common dental emergencies. Posted December 11th, 2015 by Lillian Price & filed under Dentist. Posted December 10th, 2015 by Phineas Gray & filed under Dental Care.